Did you know that 40% of consumers actively want to get offers and deals from companies via chatbot? 20% would even consider making a purchase that way. Chatbots are here to stay, and at this point, customers have even gotten comfortable with them. Needless to say, using a chatbot is a no-brainer when it comes to saving capital. Instead of hiring customer support reps — whether they’re remote workers, in your office, or outsourced to a call center somewhere — a simple chatbot can handle the vast majority of consumer inquiries and complaints. And it’s not just hip tech startups that are embracing this new technology. National brands that are household names are on board as well. Sephora, H&M, Pizza Hut, and other top companies are all using helpful chatbots to improve their customer service offerings. Then you can move on to browse products, get personalized beauty tips, and more. The Sephora bot will even ask targeted questions about your tastes to provide the perfect product recommendations, just like a real sales associate. Then, Kik users can make purchases without ever leaving the messaging app. 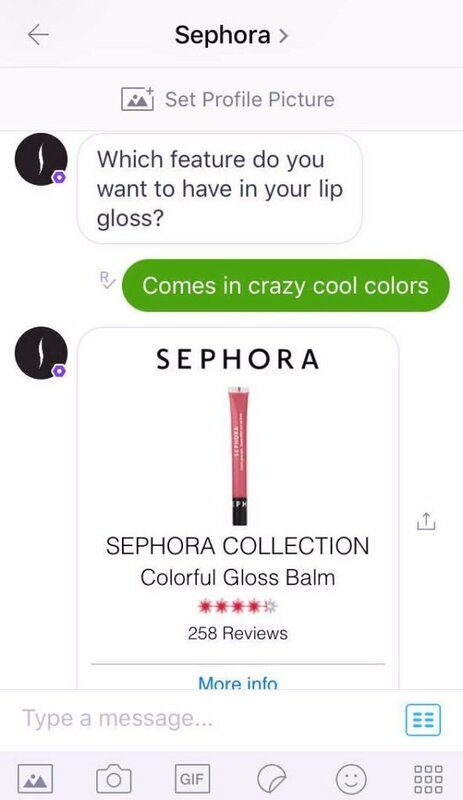 The Kik chatbot isn’t the only example of how Sephora is using AI to better connect with and sell to customers online. 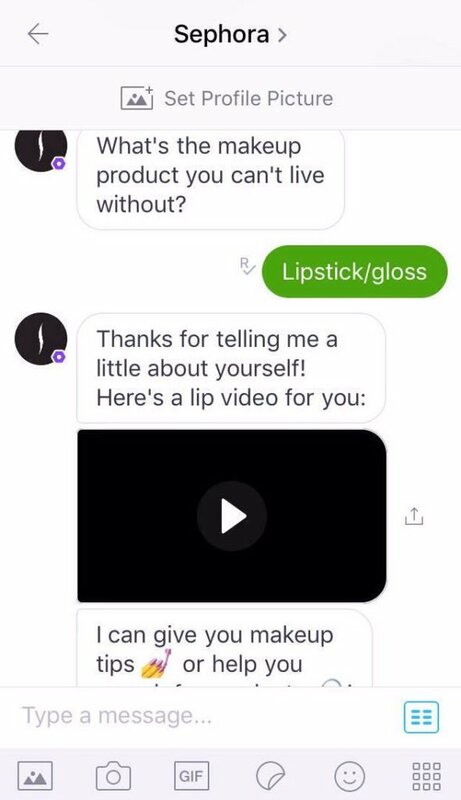 They also developed a chatbot called the Sephora Virtual Artist on Facebook, that allows people to try on different lip colors using selfie photos. Sephora’s chatbots are helping consumers find deals and make purchases, but also make fashion choices and find products that meet their unique style and tastes. That’s something a simple ecommerce website doesn’t offer. And while Sephora has yet to release any hard numbers about the impact their chatbots have on ecommerce sales, everyone’s optimistic. 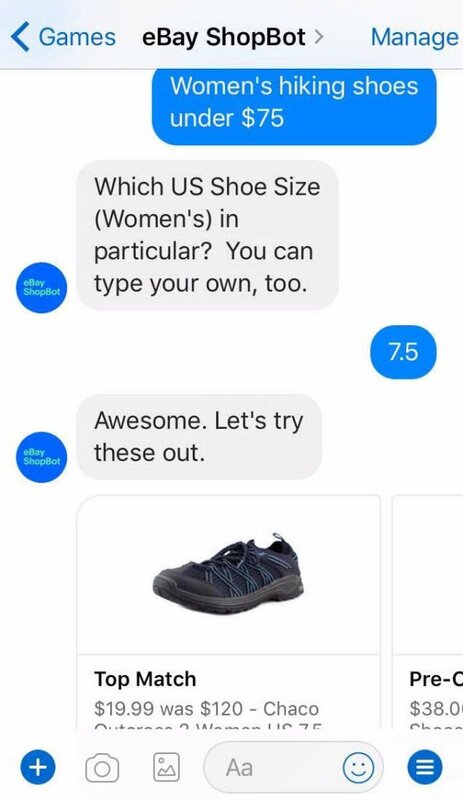 eBay first started using chatbot technology by piloting a simple Facebook Messenger tool that reminds bidders 15 minutes before an auction listing is about to end. That way, they can remember to get a last-minute bid in. All you have to do is type in some details about what you’re looking for (e.g. women’s hiking shoes under $75). eBay will ask you all the relevant questions to find the perfect fit, style, and color for you. Since its launch, Shopbot users are nearly three times more likely to ask questions about specific products than those browsing eBay’s inventory. It’s another great example of how AI can improve the shopping experience beyond what a regular ecommerce site has to offer. In the end it improves engagement, retention, and can drive sales. 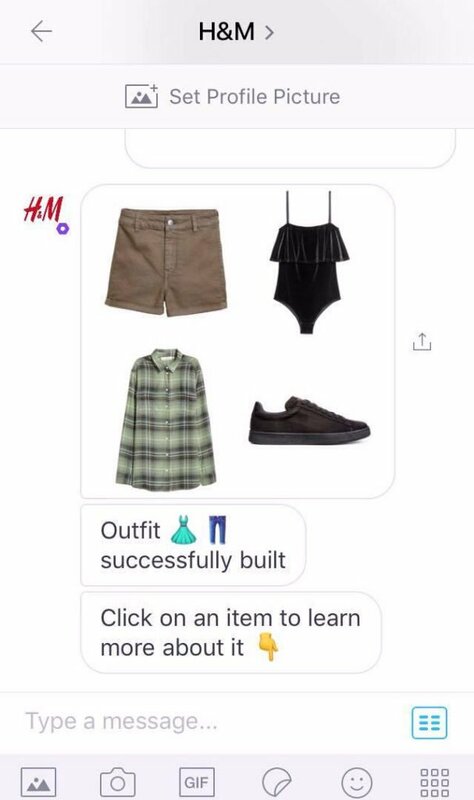 Clothing brand H&M developed an interactive bot for the Kik messaging app that recommends products based on your own preferences. It starts out by asking you to select photos of clothing that you like. Then it asks you to pick your personal style: Casual, Boho, Preppy, Classic, or Grunge. The H&M bot uses photo options and asks questions about your style to create a comprehensive profile of what you like (and what you think you like). Once it creates a style profile, you can use the bot to create your own outfits, vote and browse outfits created by other users, and shop. The H&M bot doubles as a fashion advisor and public forum to rate style. There’s nothing like the opinions (votes) of others to influence your shopping decisions. Brands that rely on an ecommerce store alone miss out on this opportunity to drive sales. Did you know Pizza Hut sold their first pizza online before Amazon sold its first book? The franchise continues to be a trailblazer in adopting new technologies. The latest is their chatbot. As of last August, customers can order pizza simply by chatting with Pizza Hut on Facebook or Twitter messenger. You can save your favorite pizzas to reorder with the touch of a finger. The bot also offers customers answers to frequently asked questions and info about their latest promotions. All you have to do is like their Facebook page (or follow their Twitter profile) and set up your payment information. It’s all in an effort to make it easier to order pizzas, and it works. Customers don’t have to call, visit a mobile site or download an app. Just send out a message like you’re chatting with a friend. Since pizza is often an impulse-buy, a bot like this is a valuable asset to help improve sales. You can read about more brands that are killing it lately with chatbot customer service in the full blog post from A Better Lemonade Stand.